Minwax Wood Finish is a rich, penetrating oil-based stain available in 22 wood tone colors. 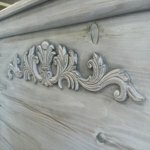 This finish can be used to enhance any bare or stripped wood surface. Minwax brings out great color! 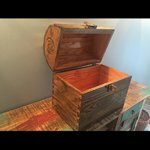 I use several different colors of Minwax stain and have had good luck with all. Easy to apply and remove. 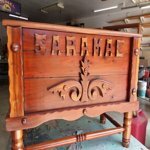 I don't like using any other brand than Minwax to do any wood staining pieces. When I first started staining and painting wood I started out learning with Minwax and it's been the best brand and only brand I will use. It dries well and with good timing for the most part it's the best brand in sealer/ polyurethane also. 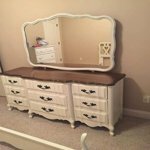 Several colors have been used on various products and each has been easy to use, provided the desired appearance, and lasts for months from one project to another. I grew up helping my dad doing everything from remodeling homes to building new houses. After he hit 100 projects, he retired a few years ago. 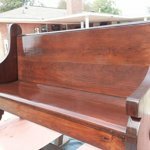 It didn't matter what finish color clients wanted, Minwax had something that would work. 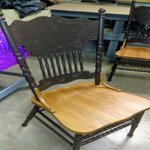 I can't tell you how many cans of Minwax stain and varnish I've gone through over the years! I love it! 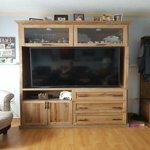 My wife and I own a specialty woodworking business. So, on occasion, we test other stains to see how well they work. We always go back to Minwax stains for several reasons. The stain is easy to work with, goes on evenly and clean up is a breeze. From batch to batch the color does not change which is very important to us. When you show your client a stain board, you want the stain you use to match what they want. Minwax stains work well in our sprayer as well, some stains don't. To sum up, Minwax is easy to work with and consistent. We are through testing other brands. 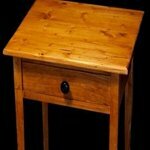 I have been using Miniwax wood finish for many years. It is the best. A few years about a friend was going to throw out a headboard/footboard that her dog used as a chew toy. I offered to take it and worked on it for not quite a week. I did have to use putty on some of the finials but it really looked amazing when it was done. I told my kids it is now a family heirloom. I always know I can depend on Minwax.